No matter what the size or type, a property’s drain and sewer system needs to function properly so that premises remain sanitary and usable. 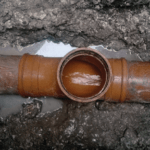 Drainage problems can have serious implications for a property’s tenants, causing irreparable damage, business disruption, and health and safety issues. An operation may even be forced to close down until repairs have been carried out, with potential loss of revenue and profit. That’s why having a drainage specialist you can call on for advice, emergencies, maintenance and repairs is a smart move. A drainage specialist like UKDN Waterflow (LG), for instance. We offer a complete range of services, from 24-hour emergency response to blockages through to regular maintenance programmes, remedial work and pipe rehabilitation. A CCTV survey is the quickest and most accurate way to assess the condition of the drains in any property. Our commercial CCTV surveys start from just £250 and, of course, we visit free of charge to provide detailed quotations for larger scale projects. Whilst drains are out of sight, they shouldn’t be out of mind. An annual drainage cleanse and check is the best way to make sure all is well. And of course, if you do suffer a drainage emergency or blockage, we’ll deal with that in a jiffy. Ask for more details about our services. Our technical teams deliver a high rate of first time fixes and work to a strict code of conduct, so that you can keep your clients happy. They’re experts in rooting out the cause of recurring problems and have the technology and resources to tackle the most challenging projects. We’ve looked after water and drainage systems for property companies for years. We design our service to fit your business based on best practice and, of course, best value. That means we can handle everything from emergency response only to full asset management programmes. Check out our work for Wrekin Housing Trust, for instance. Our clients appreciate our UK-wide resources, fast response and technical knowhow — all backed by robust management systems and IT for great customer service and communication. We’ll help you work out what’s best for you, your tenants, and your budget. Talk to us on 0333 344 2937 about the options, or complete the contact form.